Do you think there is merit in the segmentation business model? MH: Westpac has done it for some time, they just haven’t made a big deal about it until now. I think it is a good business move. At the end of the day, all businesses segment in one way or another. They say they segment on quality, but they segment on volume. Everything always comes down to volume. TB: I don’t know if segmentation is a great business model to have in this current environment. The property market is flat and when the market is flat, brokers can’t write as much business as usual, so lenders ultimately see their accreditation numbers drop. I think good business service should be provided to all brokers, regardless of the amount of business they write with a particular lender. MR: I think you will see most lenders start to unwind or remove their segmentation business model. Fundamentally, they are asking for volumes and this is not going to change in the immediate future. We all support quality and we will continue to drive quality of submissions, but beyond that I don’t see any benefits in segmentation. They [the banks] started it when they wanted to slow down volume flows, but I don’t think anyone wants to stop the flow now. We are going to be in a subdued credit growth market for the next three years at least. What that means is that all of our lenders are going to continue to have an insatiable appetite for credit and you will see most of them start to unwind their segmentation. KM: The banks that have broker segmentation in place see very little movement in this area. That is to say, the brokers that find themselves in the top tier with the bank are unlikely to fall out of that tier. Ever since I started in this industry I can safely say that the people in the top tier don’t change. TB: Traditionally, the people in those top tiers are ex-bank employees. If they are a CBA Diamond Broker, it is generally because they are an ex-CBA employee. SK: A broker needs to recommend products to their clients that are ‘not unsuitable’. Of course, those that are in the top tier segments often send the majority of their business to that one lender. If that is the case, then are they really doing the right thing by their client? If a broker sends a majority of their business to one or two lenders, are they actually a broker or a representative of the bank? MH: It is all around disclosure. If they disclose the fact that they tend to use one or two lenders, then there is nothing wrong with that. GF: I don’t know if others have seen this, but if a lender says they require six loans in a quarter, then a broker will send them six loans in one month and they feel like their job is done. They tick that box. Often these minimum volume requirements actually become a limiter for the banks. MH: St George’s Flame tier was created because the bank wanted to make sure that when they offered hot rates, they were giving the brokers that consistently did business with them the best possible service. When a lender offers a hot deal, they tend to get a lot of business and those that stuck by them don’t get preferential treatment – which isn’t a good thing for the bank. Are you seeing some groups adapt to the changing home loans market more effectively than others? JS: At any one time, you have always got one or two lenders that are hot. Whether that is because of their product, policy, price or service, there are always one or two that are getting more business than anyone else. Right now, someone like CBA may be off the boil... but in six months time they might be on the boil. MR: All lenders are trying to adapt to the market. More so than ever before, the market is being driven by price. SK: It shouldn’t all come down to interest rates though. MR: Absolutely not. But the fact is, when the RBA is moving rates, consumers are a lot more focussed on rates. JS: Consumers are confused. The banks have stirred things up and people want help. We have seen our leads go up. We are getting 10,000 news leads per month. Consumers are saying ‘I’m confused’ and I need a mortgage broker more than ever. MR: I agree. All this confusion is really supporting the broker proposition. KM: There are a lot of opportunities out there for brokers at the moment, but they prefer to whinge. A lot of brokers are saying times are tough. My answer to that is: well no, times are not tough – they are different. The fact is, we can live with 4 or 5 per cent credit growth. In fact, that amount of growth is quite impressive... it is just not what we are used to. Brokers have expressed concerns around NCCP, now in force, but what impact has the new legislation had on consumers? MH: Over the long term, the National Consumer Credit Protection Act (NCCP) will help with client retention. The client’s needs analysis that brokers have to conduct will help borrowers feel as though they have been positioned in the right home loan for them and their needs. I believe the banks will love brokers even more in five years time because NCCP will ensure broker/client retention is higher than ever before. JS: NCCP has also had a positive impact on the industry. When NCCP came into play, a lot of part time brokers said this is all too hard, so they left the industry. NCCP has helped clear out the dead wood. SM: An industry with less brokers has got to be a positive. NCCP was about creating the right barriers to industry. MR: NCCP has removed, I believe, the need for segmentation. All of the brokers left in the industry are quality operators, so we don’t need to segment them. 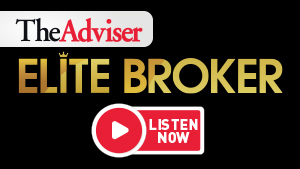 KM: The industry was terribly over-serviced – we probably had 4,000 too many brokers. How do we attract new young professionals to the industry? KM: The new brokers coming into the industry have a different attitude from long-term brokers. They understand the online space and social media. They are far more likely to diversify, which is a really positive thing for the industry. The question is though, how do you attract new professionals to the industry? We set up stands at trade shows and talk to students who are considering their career choices. Would a recent graduate make as good a broker as someone who has had five or six years working in a finance-related industry? JS: Time in the field does not make you a good broker; it just means you have spent more time in the field. Some of the sharpest brokers have been there for only 12 months. It is case by case. KM: I think we can attract graduates. The overriding thing in the back of your mind is always, are they doing this until they get the job they really want and are we going to waste time and money on these people? SM: Attracting new blood is the number one issue for the industry. We are dealing with a shrinking pod of professional brokers and we are fighting heavily for them. We are undercutting each other to get them. We need to think about ways we can attract new blood to the industry. MR: We are in a better position now than we have ever been, given that we are now a professional industry. We have to leverage NCCP to our advantage. We are in a position now where we can go to schools and say: If you want to join a professional industry, then mortgage broking is for you. JS: We try and attract recent university graduates. Some of our other young brokers join the profession because their parents are in the industry. Once you get into the business, most people stay there because you can make a good quid, as long as you are good. SK: The MFAA is also working with universities to recruit new blood, young blood. Is the requirement to have diploma fair and justified? MR: Absolutely not. Many mortgage brokers want to recruit new loan writers, but the diploma is acting as a barrier to entry. While we support further education, I think it is too much too soon. The industry has only just come to terms with NCCP. They should be given time to get accustomed to the new compliance requirements before we slap them with a diploma as well. JS: Sure – but at the end of the day, we are raising the bar. Whether or not you think the diploma is right, we are raising the bar and we are happy to pay for it. MR: James, with all respect, that is not the point. The point is the MFAA hasn’t shown any compassion. It has only been 12 months since NCCP. Brokers have had to invest in their business and they are just coming to terms with being compliant and now we are saying they have to do a diploma. I just think it is poor timing and it is going to throw another cost at brokers at a time when we should encourage them to grow their business. We support our people to do the diploma, we support any sort of further education. JS: At the end of the day, all businesses take their own course. With all due respect to the MFAA, they will never tell me what to do. We have taken the diploma because we think it is best for the company, best for the consumer and best for the broker. MR: You have to do it, the MFAA demands it. JS: No, we don’t have to do it. You only have to do it if you want to remain a member of the MFAA. And I can safely say that the MFAA will never tell me what to do. TB: But all the lenders are saying that they require brokers to be a member of the MFAA. MR: My only concern is why are we putting another burden to entry? Do an assessment of what a diploma is all about and see if it will really help anyone. TB: I agree. The fact is the diploma has little impact on a broker’s business. JS: At the end of the day, you have to do what is right for your business, right for your brokers and right for their customers. I believe education at Aussie needs to be at a certain level. Moving on from diplomas now, do you think we will see fee for service become industry standard? JS: Fee for service is a good conversation to have. We need to look at it because if the banks do something stupid we need to be ready for it. The fee for service is not a matter of if but when. KM: The problem is most brokers aren’t very good salespeople so they don’t feel comfortable asking for money. SK: I agree, but we need to have the debate in case something happens, commissions are cut etc. SM: Unfortunately, fee for service is seemingly a debate where you are right or wrong, but that is simply not the case. Some people already do it very well. MH: That’s right, some of our brokers do it well. If they went and trained everyone, they would start and never stop,...but it is about inertia and creating that change. MR: I accept that there are pockets today where people are charging a fee for service. But if the industry fundamentally changed today, there would be repercussions. In a flat property market, it would have a negative impact on volumes. Today, in this environment, if Mortgage Choice and Aussie went out and introduced a tax on our proposition it would have a negative impact on our volumes. MH: It will while you call it a tax. MR: We need to keep talking about it, but at the end of the day, it is all about timing. And I don’t think it is the right time to introduce a fee for service business model.